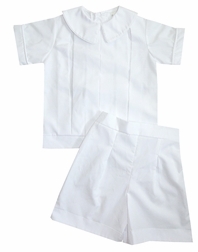 Very sweet, simple yet sophisticated white, ecru or blue two piece blouse and shorts for little boys. 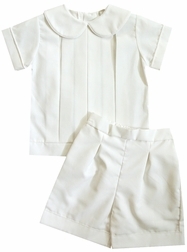 The outfit is made with a pleated blouse and elastic back waist shorts. 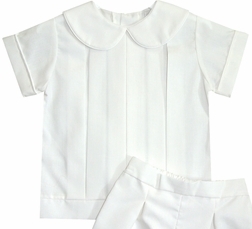 Perfect for ring bearers, Christening and other special occasions.